Vernon Masayesava, Zorra of the Hollow Earth, Michiko Hayashi of the Emoto Peace Project, Signer and Songwriter Charlie Cardinal, Leon McLaughlin of the Washington Clean Water Foundation, and Martha Childress of the Natural Choice Network will be doing be doing prayers for clean water on the Hopi Indian Reservation in Arizona. 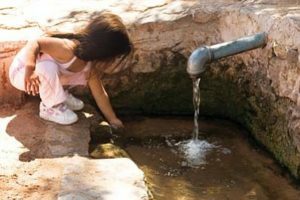 Many of the villages on the villages on the Hopi Indian Reservation do not have clean water; the water is contaminated with Arsenic, and many are dying of cancer. We will be doing prayers to clean up the water on the Hopi Reservation. Vernon Masayesva is the Executive Director of Black Mesa Trust, a Hopi Leader of the Coyote Clan and a former Chairman of the Hopi Tribal Council from the village of Hotevilla, one of the oldest continuously inhabited human settlement in the Americas in Arizona. Masayesva received his B.A. degree from Arizona State University in Political Science and a Masters of Arts from Central Michigan University in 1970. He returned to Black Mesa of the Hotevilla Bacavi Community School, the first Indian controlled school on Hopi as the lead educator of the school systems. In 1984, he was elected to the Hopi Tribal Council and then served as Chairman from 1989. 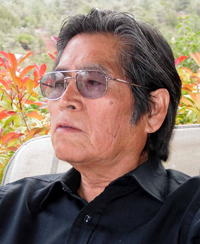 He immersed himself in the tangled intricacies of the mining on Black Mesa and the Hopi – Navajo land dispute, and is widely respected on and off the reservation.